Even though the train for Rebirth has officially left the station, we have one straggler before the new status quo can officially take mold. It’s the final chapter of the latest mini series to feature the GLC, and despite the fact that I’ve been unimpressed to negative for most of this series, I genuinely want this finale to end on a positive note. So before we close this chapter of the Green Lantern Corps, let’s say goodbye to this universe and welcome back the old DCU. Have you ever read or saw a preview to something with extremely high expectations? That sense of pure joy of what the final product could be, as one might mark down the calendar until the release of whatever that object might be. Edge of Oblivion in this instance, had the highest of expectations. With my feelings of Lost Army known, I threw all my eggs into this Green Lantern basket, and who could blame me? Tom Taylor and Ethan Van Sciver on the book and for the first three issues I was blinded! When a moment of devastation enters your life, something that makes you completely helpless in the face of adversity. What is your first instinct on what to do next? Do you grieve at your utter lack of control that you thought you had? Does blind rage and ill contempt for those around you overwhelm your senses, which if let unchecked can prevent you from moving on from onward. After the events of last issue, Tom Taylor put’s Guy Gardner in a spot that almost everybody can sympathize with. 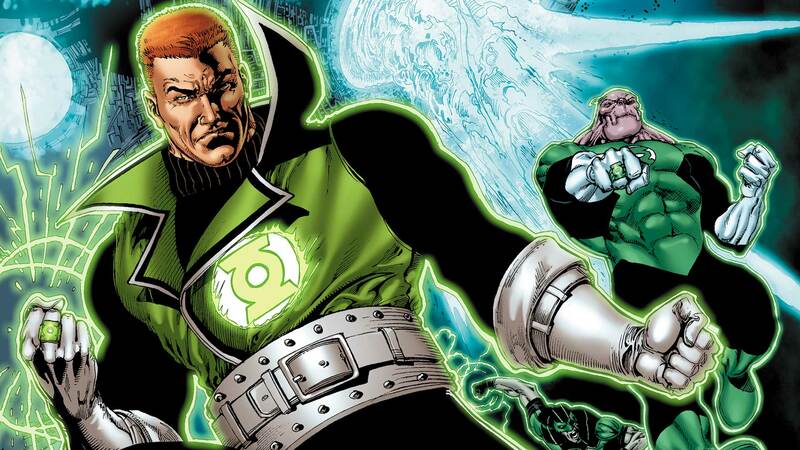 An emotional/driven Guy Gardner makes for a more engaging character arc. After speculation of mine and other readers of how Lost Army’s plot lines actually fit within Edge of Oblivion’s larger plot line. Well according to Van Sciver himself this current mini series is in fact not a direct follow up to Lost Army. While I’m glad that Lost Army’s plot lines are being shelved since the overall story was below average, the fact that DC isn’t even going to mention it at all is pretty telling of how editorial is handling some of their projects. So with that being said now the comparisons can be dropped, so let’s move forward shall we? While I won’t recycle The New Day joke once again, it is a new chapter for the Green Lantern Corps. It’s no secret that Lost Army started out with promise but slowly dissolved into a mess. Now former Earth 2 writer Tom Taylor returns to DC to finish up what Cullen Bunn started. What’s even better is Ethan Van Sciver joins him and veteran fans will remember the stamp that EVS has left on the Green Lantern legacy. So with that being said, let’s see what Tom Taylor and Ethan Van Sciver have in store for The Lost Lanterns. First off I want to apologize for how late this review is, with out going into details my life became hectic, and it was difficult to try and sit down write about a review on a comic that I little to no interest in. Thankfully that time has passed and it’s time to dive back into Convergence one more time! Obviously I didn’t have kinds for the last Green Lantern Convergence title. so now that Corps finally hits the shelves, will it fall under the same web as Parallax did or will it actually be a worth wile read? Everyone has their tragic moments of the past, something we all wish we could change. While the initial event passes the scars remain. Sleepless nights or seemingly endless nightmares, can plague an individual who only seeks one thing. Closure. Something that will bring peace to their minds and hearts and finally be able to move on from the incursion of their souls. Which brings us to John Stewart and the planet of Xanshi. For good or ill the planet of Xanshi has been part of John for over 20 years now, and it’s brought up once again. 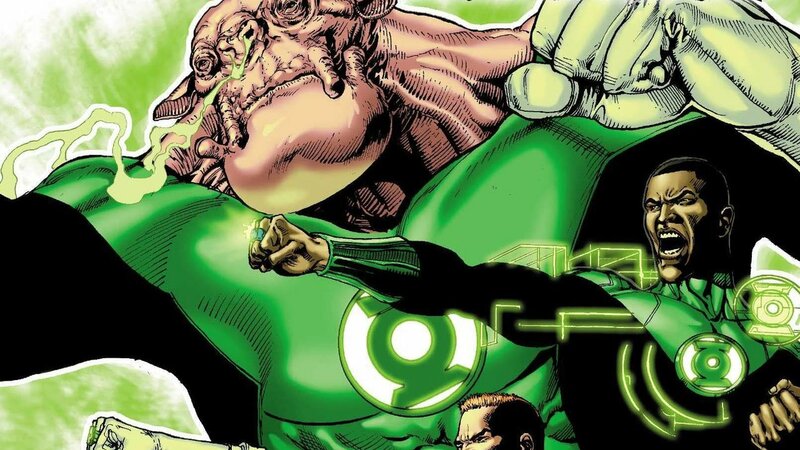 Will this final issue of Green Lantern Corps finally bring John the closure that he so desperately needs? 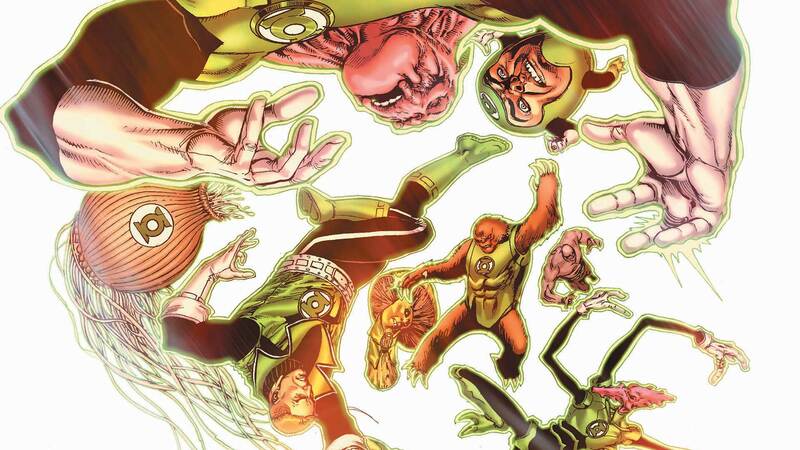 It’s hard to believe that this is the penultimate issue for Green Lantern Corps. Which is a shame because I personally feel that this squad of Green Lantern’s could have been something special, despite the crossovers occasionally halting character progression for big action set pieces. Yes other readers will have their favorites but as a relative new reader to GLC as a book it’s been a pleasant ride since May 2012. It seems a bit redundant to write this here since this isn’t the last issue but it’s what I am felt as I read the issue. So enough of sentimental nonsense it’s time to find out what up with lies in the shadows. While Hal Jordan was forced into some shore leave, the opposite seems to be happening to John Stewart. No rest for the weary I guess? If there was an aspect to Godhead I disliked was shift in focus from the recruits. I can understand why the shift in focus was done and I’m aware they were still involved but the lack of character of growth that’s shown on the page was missed. So hopefully with this new year and Godhead in the rear view mirror, the recruits will shine once again. So let’s see what Van Jensen has in store for John and his platoon.